Welcome to LANL's Fusion Energy Sciences Web site! Mission: Develop practical fusion energy as a solution to the long-term energy problems facing society. Program Overview: The Los Alamos fusion energy program was started by James Tuck in 1951 (about the same time that Lyman Spitzer began fusion work at Princeton). The pioneering Los Alamos work utilized the "pinch" effect for confining a fusion plasma. Similar concepts are found in today's Los Alamos work on Magnetized Target Fusion (MTF). This concept envisions imploding a magnetically self-organized plasma with a Z-pinch. Besides MTF, Los Alamos fusion energy projects include experiments on other fusion energy concepts, and theoretical modeling of fusion energy plasmas. In addition to this fusion physics work, Los Alamos is contributing fusion energy science with a variety of supporting fusion technology topics, notably tritium technology and inertial fusion target fabrication. The Los Alamos theory work spans "conventional" magnetic confinement fusion and so-called "alternate concepts" such a the Field Reversed Configuration, Reversed Field Pinches, and Magnetized Target Fusion. Experiments include alternates, such as MTF, basic plasma astrophysics (magnetic reconnection) and also collaborations across the nation. The fusion technology work supports both magnetic fusion energy and inertial fusion energy concepts. The program benefits greatly from interacting with the many disciplines found at Los Alamos such as the inertial confinement fusion program. 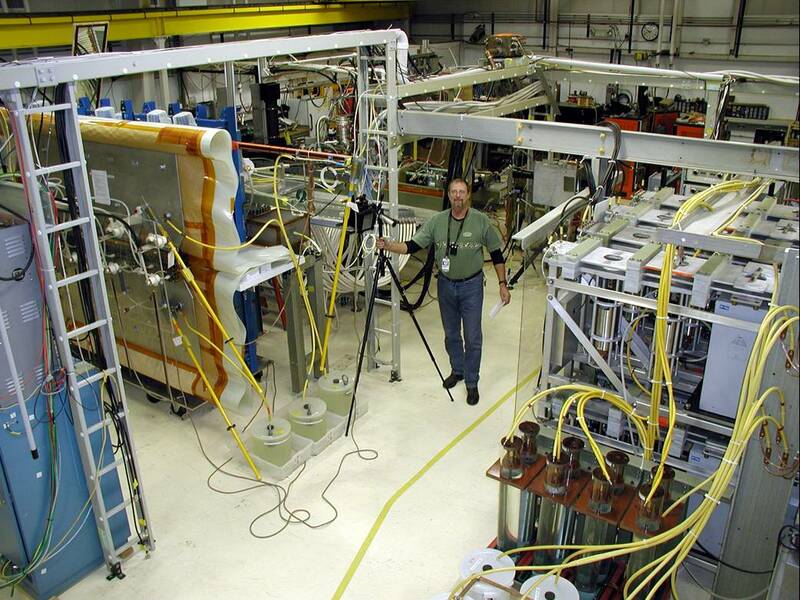 The Los Alamos fusion program is closely integrated with related work throughout the US and elsewhere in the world. Fusion energy sciences research is managed at LANL by the Fusion Energy Sciences Office as part of the Office of Science. Three proposals submitted from LANL to LAB-04-18 OFES call. FRX-L machine paper published in RSI, 74(10) 4314 (2003).